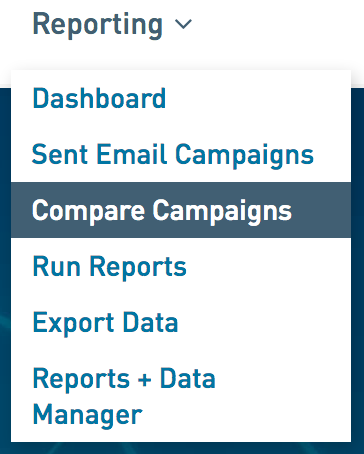 You can compare your sent email campaigns under Reporting > Compare Campaigns. Compare your opens, clicks, opt-outs, and even engagement rate against other sent email campaigns. When you’re done learning about comparing campaigns, take a moment to learn about our benchmark data sharing program. 1. Go to Reporting > Compare Campaigns. 2. Select Campaign Type, Labels, and your Date Range. When you run compare campaigns in WordFly you will see a unique email campaign engagement rate. If you opted in to the benchmark data sharing program, you will also see benchmark data across selected categories. How does WordFly calculate email campaign engagement? Email campaign engagement is calculated through open and click data. The engagement rate of an individual email campaigns is calculated by taking your unique subscribers who clicked any link in your email divided by number of unique opens. Use WordFly's compare campaign feature to refine your email marketing approach and to confirm if you are meeting your marketing objectives. Are opens and clicks on an upward trend overall? What campaigns have lower open and click rates? What may have affected these numbers? How have my subscriber list numbers changed since the start of these campaigns? Did anything change during the course of these campaigns that may have changed the results? Use your comparison analysis to make adjustments to your email program. Think about what changes you can make before your next review. Here are some things to consider: email creative changes, content changes, sending highly targeted emails, or perhaps increasing or decreasing your emailing frequency.